And now the Pixel 3 case (at least the one you could use this coupon code on) is gone, too. We told you to hurry up! A new day can mean many things — freshly brewed coffee, fresh underwear (hopefully), and maybe even a fresh new case for your third-generation Pixel. Case-maker Vena has a set of wallet cases on sale for the Pixel 3 family for just $6.50 each on Amazon, after a promo code. 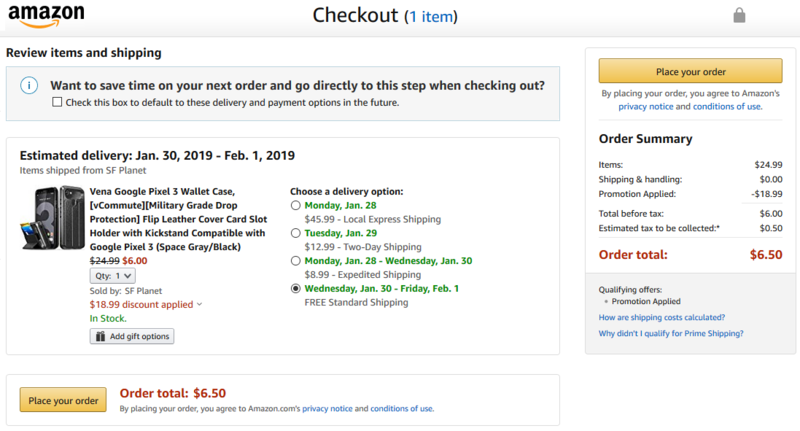 To get this deal, click through to Amazon, make sure the seller is "SF Planet" (not "Sellers 'R' Us") and you select the listing that's shipped directly from them (not "Fulfillment by Amazon"), as illustrated below. Use promo code 5SLMHDQV for the Pixel 3 and XFFQYE55 for the Pixel 3 XL case to bring the price down to $6.50, from a regular price of $25. There are two color options to choose from: Space Gray and Rose Gold, though the promo code only works on the former. 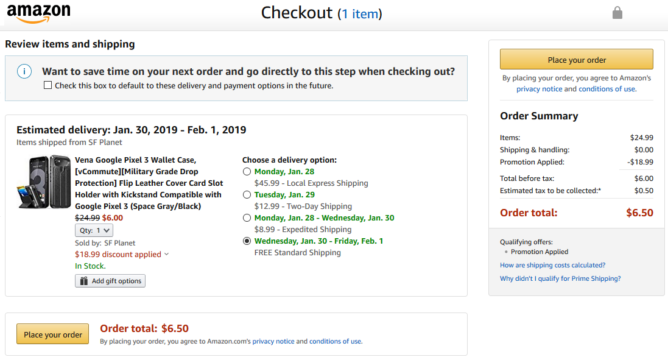 Go against your instincts and choose the not-shipped-from-Amazon option if you want to take advantage of this coupon. This Vena vCommute case is made of polycarbonate and TPU and meets the MIL 810G drop-test standard (surviving 26 drops of 4 feet). 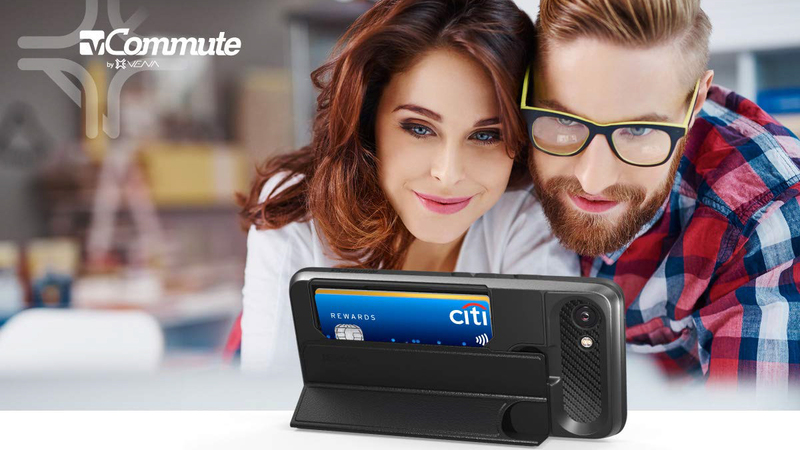 The back can hold up to three cards, doubles up as a kickstand with adjustable angles, and comes with a metal plate inserted for car mounting. The product description even mentions the case won't mess with Android Pay or wireless charging. For the price, it sure looks worth it if you were thinking of trying a wallet case — I personally use one and not having to remember to carry a wallet with me is quite refreshing. If you didn't snag that 3 XL case yet you're out of luck, as it's already out of stock. Better hurry up if you want the Pixel 3 model, as Amazon indicates that supplies are drying up fast.